The NEC NP34ZL is a 0.95 - 1.25:1 Zoom lens compatible with the NP-PX602WL-BK/WH and PX602UL-BK/WH projectors. 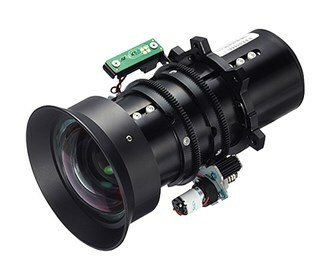 It is capable of lens-shift and features a throw ratio of 0.95-1.22:1. The NEC NP34ZL has many exciting features for users of all types. The NEC NP34ZL is sold as a Brand New Unopened Item.